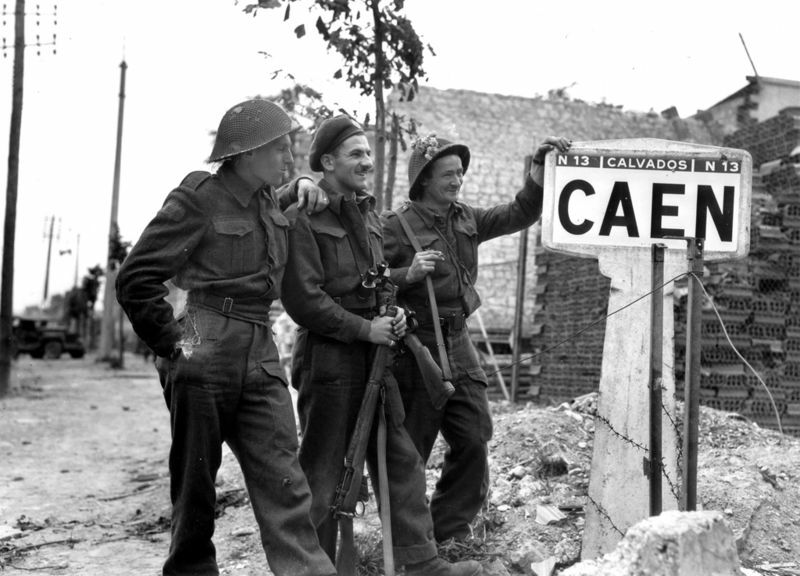 Canadian soldiers from the Queen’s Own Rifles regiment pose at the entrance to the city of Caen, Summer, 1944. 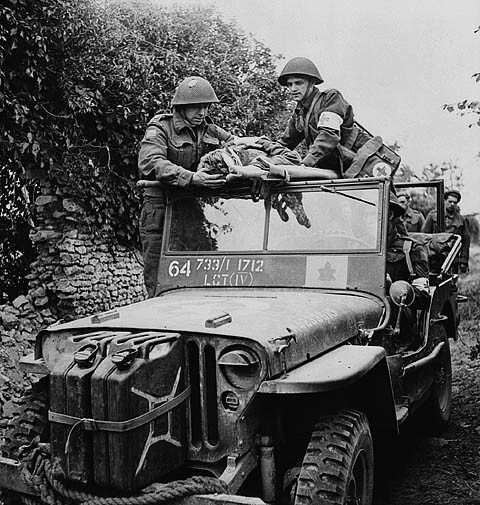 The Battle for Caen (June to August 1944) is the name for the fighting between the British Second Army and German Panzergruppe West in the Second World War for control of the city of Caen and vicinity, during the Battle of Normandy. 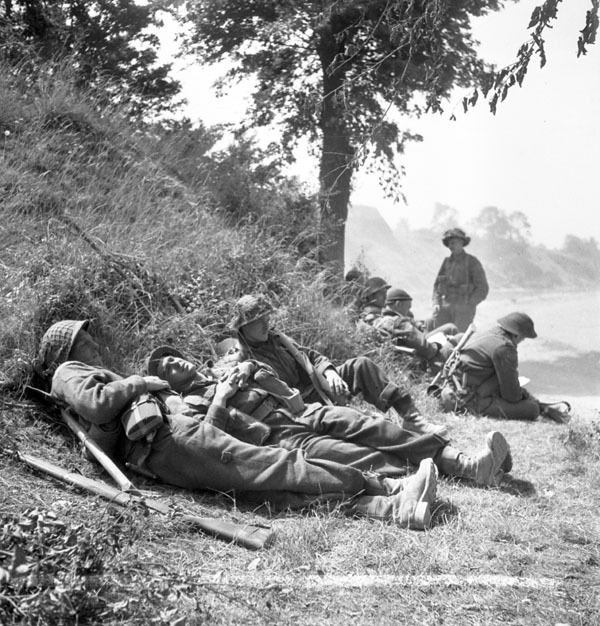 The battles followed Operation Neptune, the Allied landings on the French coast on 6 June 1944 (D-Day). 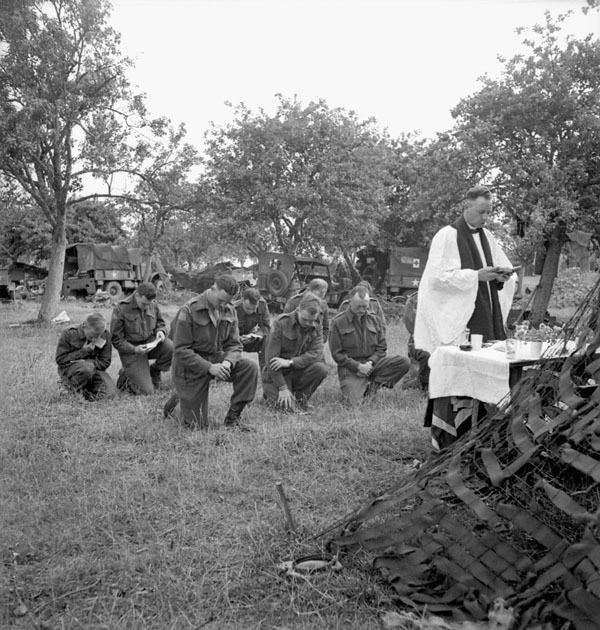 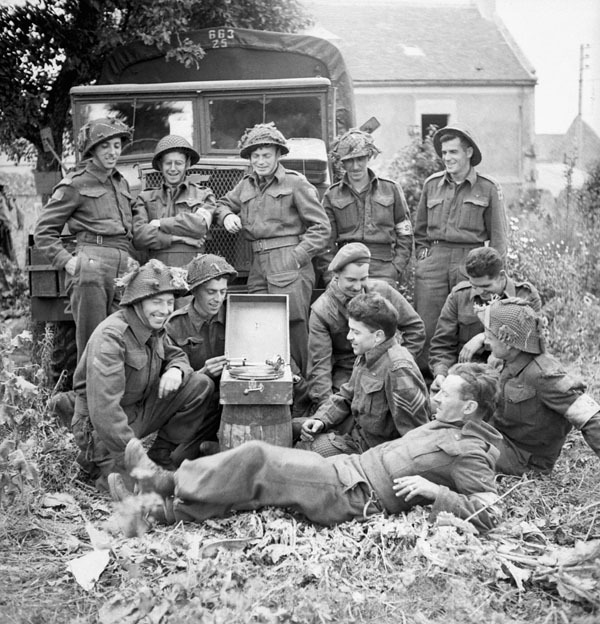 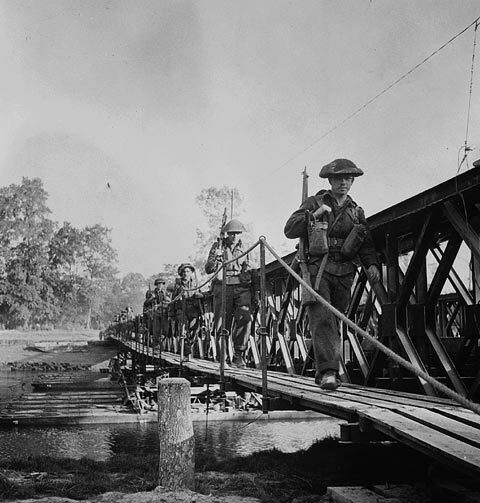 On 9 July 1944, the 3rd Canadian Infantry Division, supported by the 2nd Canadian Armoured Brigade, launched the attack which was to liberate the centre of Caen, so heavily bombed and shelled by the Allies in the previous weeks. 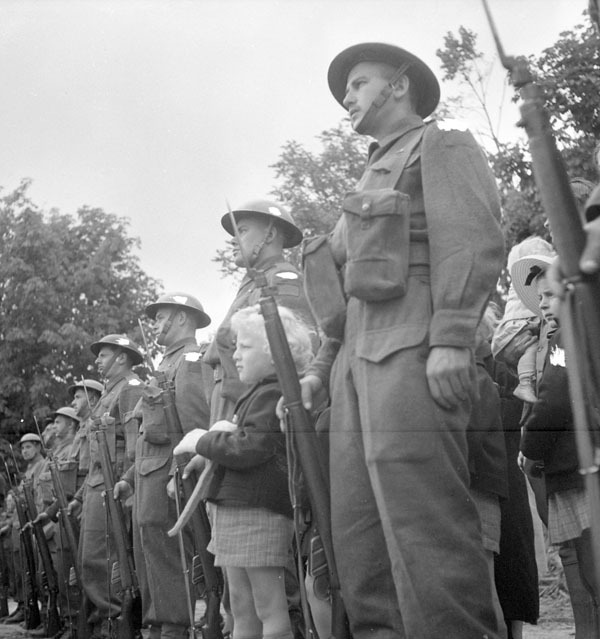 By noon, elements of the 9th Canadian Infantry Brigade, supported by tanks of the Sherbrooke Fusilier Regiment, had reached this square and Canadian soldiers were shaking hands with jubilant citizens. 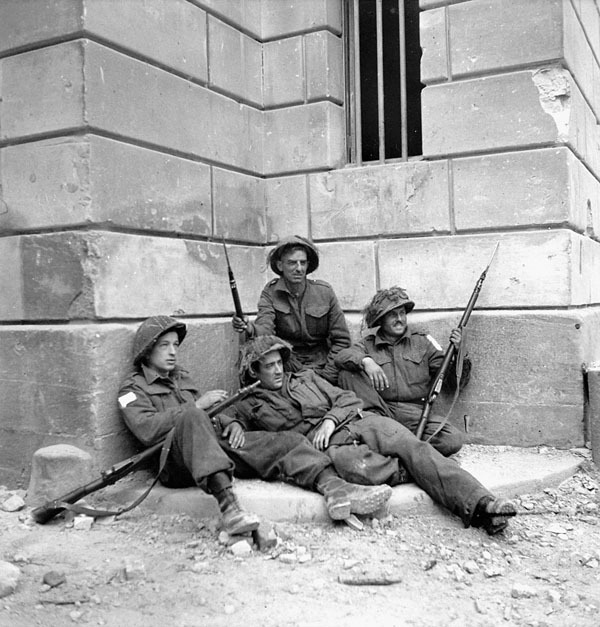 By that evening the Canadians and the 3rd British Infantry Division on their left, supported by members of the French Resistance, had freed most of the shattered city. 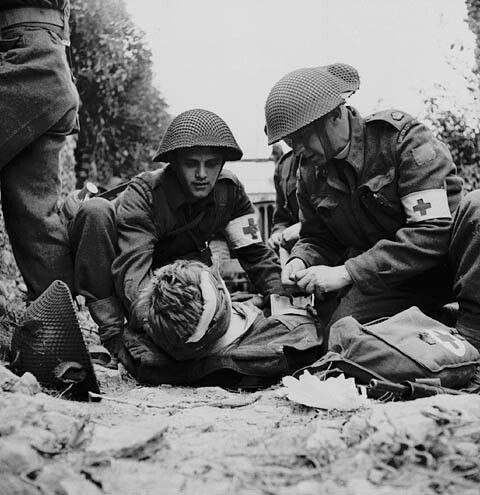 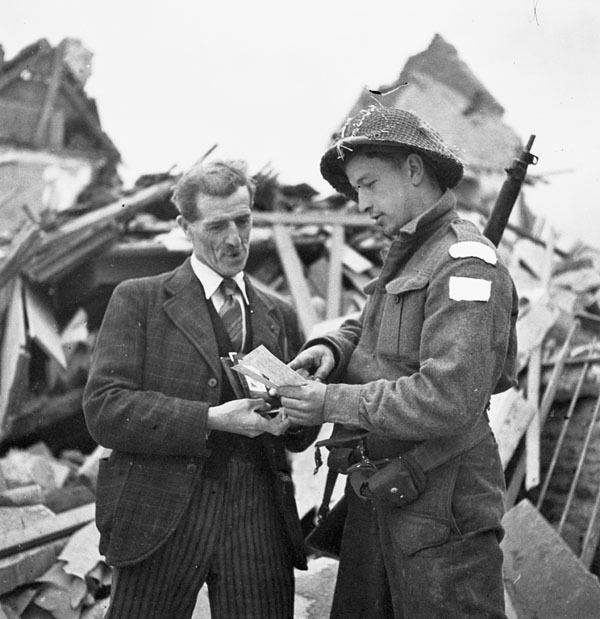 In the weeks before Caen was liberated some 3000 of its residents died under Allied bombardment, and over 3500 Canadian and British soldiers had been killed or wounded by enemy action. 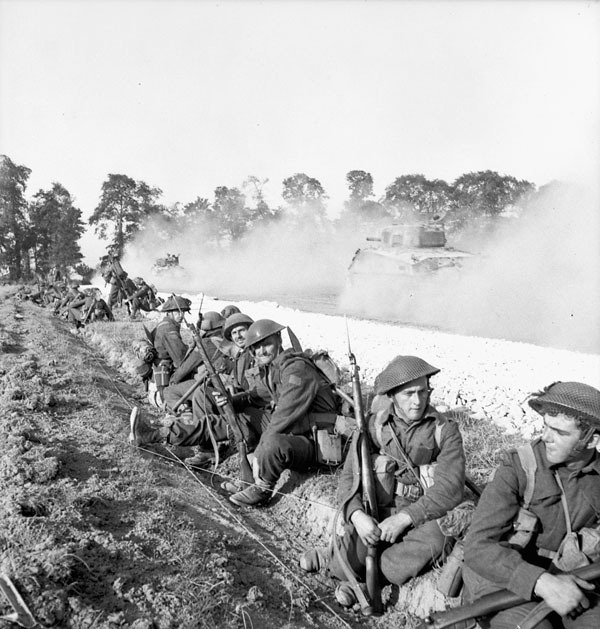 Lance-Bombardier R.W. 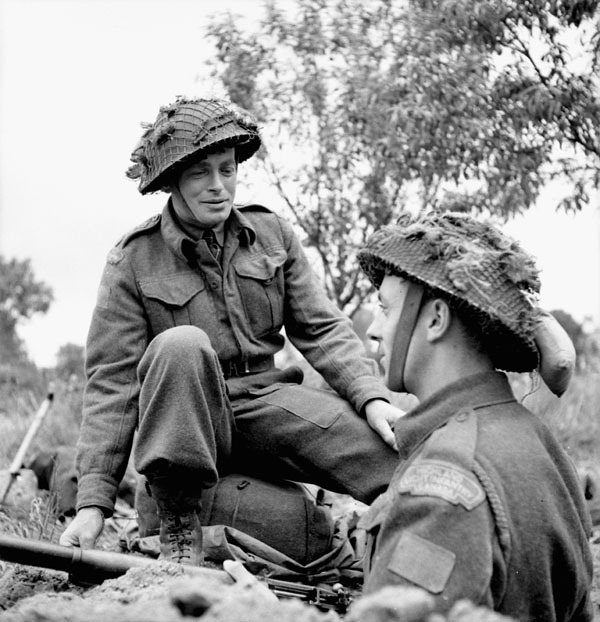 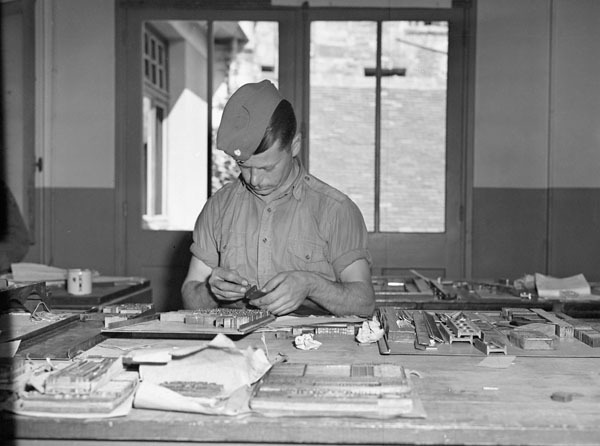 Brull of the 3rd Anti-Tank Regiment, Royal Canadian Artillery (R.C.A. 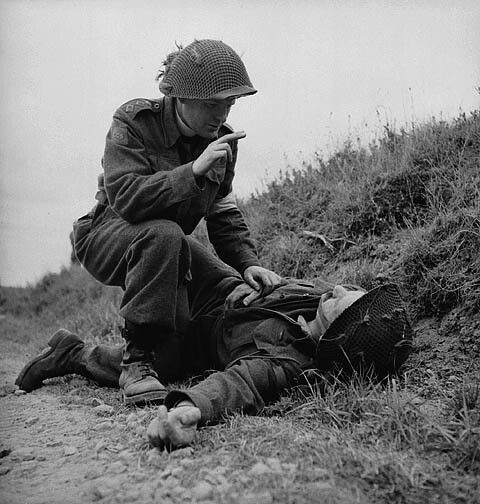 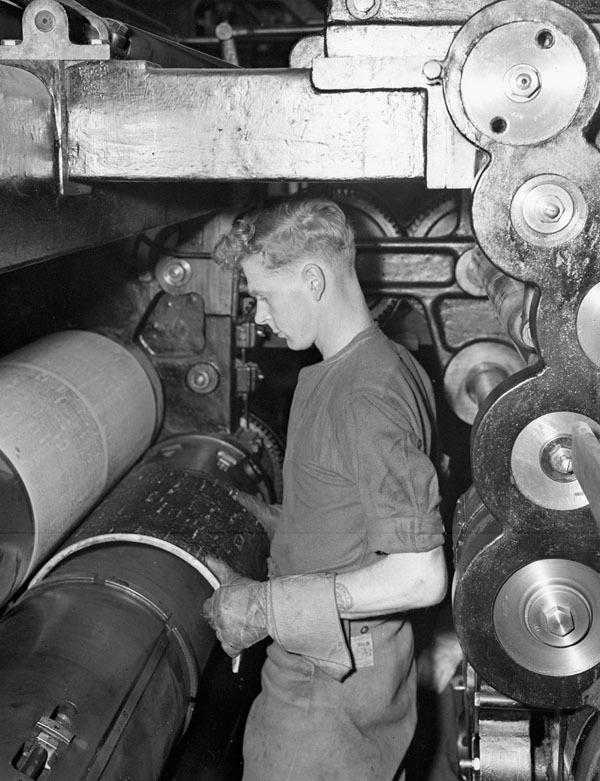 ), shaving in a field outside Dalfsen, Netherlands, 13 April 1945.